transplanted en masse to alien trenches. slaves of their sons, sinners of their saints. Mike Gallagher was born on Achill Island and worked in London for forty years before retiring to Kerry. His prose, poetry, haiku and songs have been published worldwide. His writing has been translated into Croatian, Japanese, Dutch, German, Chinese and Italian. He won the Michael Hartnett Viva Voce competition in 2010 and 2016, was shortlisted for the Hennessy Award in 2011 and won the Desmond O’Grady International Poetry Contest in 2012. 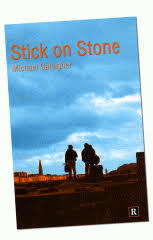 His collection Stick on Stone is published by Revival Press.